B. Modification. This Agreement may be modified by Virtus Tactical at its sole discretion from time to time, such modifications to be effective upon posting by Virtus Tactical on the Website and your use of the Website after such posting will constitute acceptance by you of such changes. Please consult this Agreement regularly. This Agreement was last updated on May 5, 2015. C. Access and Retention. A link to this Agreement will be found on the Virtus Tactical homepage. In order to access and retain this electronic Agreement, you must have access to the World Wide Web, either directly or through devices that access web-based content, and pay any service fees associated with such access. In addition, you must use all software and equipment necessary to make such connection to the World Wide Web, including a computer and modem or other access device. Please print a copy of this document for your records. To retain an electronic copy of this Agreement, you may save it into any word processing program. You must be at least eighteen (18) years of age to purchase Products, register with or otherwise use the Website. By using the Website, you represent and warrant that: (a) you have the right, authority and capacity to enter into this Agreement and to abide by all of the terms and conditions of this Agreement; (b) all registration and listing information you submit is truthful and accurate; (c) you will maintain the accuracy of such information; (d) you are 18 years of age or older; and (e) your use of the Website does not violate any applicable law or regulation. Occasionally there may be information on the Website that contains typographical errors, inaccuracies, or omissions that may relate to product descriptions, pricing and/or availability. Virtus Tactical reserves the right to correct any errors, inaccuracies or omissions and to change or update information at any time without prior notice (including after you have submitted your order). Virtus Tactical apologizes for any inconvenience this may cause you. When you visit the Website or send e-mails to Virtus Tactical, you are communicating electronically. You consent to receive communications from Virtus Tactical electronically. Virtus Tactical will communicate with you by e-mail or by posting notices on the Website. You agree that all agreements, notices, disclosures and other communications provided to you electronically satisfy any legal requirement that such communications be in writing. You also agree that by signing up for Virtus Tactical e-mails you consent to receiving products, promotions and other advertisements from Virtus Tactical or its partners. CUSTOMER ACCEPTANCE OF LATE OR DEFECTIVE MERCHANDISE. The prices displayed on the Website are quoted in U.S. dollars and are valid and effective only in the U.S.
Virtus Tactical has made every effort to display as accurately as possible the colors of the Products that appear on the Website. However, as the actual colors you see will depend on your monitor, Virtus Tactical cannot guarantee that your monitor's display of any color will be accurate. All Firearms must be shipped to an licenced Federal Firearms Licensee (FFL) whose license is current. Virtus Tactical must recieve and a copy of the transfering FFL's license for verification, and copy of the transfering FFL's license must accompany the firearm during shipping. Once firearm is recieved by the transfering FFL of choice, they will contact you to complete the required documentation for transfer which included but is not limited to completion of ATF form 4473. Backorder items are available at Virtus Tactical, we attempt to give the best estimate for deliver of the items. Customer agrees that lead times of backorder items are outside of the control of Virtus Tacitcal and lead times are subject to change based on the manufacturors schedule. Customer agrees there will be a 50% restocking fee for all cancellations of backorder items. Cancellation of backorder items that are covered under NFA regulations are subject not only to the 50% restocking fee but also any fees imposed by the ATF. SILENCERS, SBR's, SBS, MACHINE GUNS, AOW's. Any item covered under NFA regulation, which include but are not limited to: Silencers, Short Barrel Rifles (SBR's), Short Barrel Shotgun, Machine Guns, Any Other Weapons (AOW's) must be shipped to a licenced Federal Firearm Licensee (FFL) who also has a Special Occupational Tax Stamp (SOT). Both the FFL and SOT must be current and Virtus Tactical must recieve a copy of the transfering FFL license as well as a copy of their SOT. Once recieved and verified Virtus Tactical will file the necessary transfering paperwork (ATF Form 3) to transfer the restricted item to the transfering dealer of choice. Once the item(s) is received by the transferring FFL/SOT of choice, they will complete the transferring process which will include but not limited too: Filing ATF Form 4 on your behalf, Collecting the required $200 per item tax ($5 for AOW's) paid to the ATF, and any additonal local/state requirements. Any such weapon which may be readily restored to fire. NO LIABILITY FOR OUTSIDE VENDORS. Seller shall not be liable for any work performed by any third party vendor referred by Seller and hereby waives any right to assert any claim against Seller for work performed by any other third party or vendor, including but not limited to, claims for negligent referral, agency, or respondent superior. When you sign up to become a registered customer, you will also be asked to choose a password for purposes of accessing the Website and purchasing Products. You are responsible for maintaining the confidentiality of the username and password that you designate during the registration process, and you are fully responsible for all activities that occur under your username and password. You shall prevent unauthorized use of the Website using your password. You agree to (a) immediately notify Virtus Tactical of any unauthorized use of your username or password or any other breach of security, and (b) ensure that you exit from your account at the end of each session. Virtus Tactical will not be liable for any loss or damage arising from your failure to comply with this provision. You should use particular caution when accessing your account from a public or shared computer so that others are not able to view or record your password or other personal information. All assignments of your password shall be void. INTELLECTUAL PROPERTY AND LICENSE/SITE ACCESS. Virtus Tactical owns and retains all proprietary rights in the Website. Except as otherwise expressly noted, all Products, images, illustrations, designs (including Product designs), graphics, icons, photographs, text, audio clips, video clips and other materials that appear as part of the Website as well as the selection, arrangement and organization of the foregoing and the Website as a whole (collectively, 'Content') are subject to copyright, trademark, service mark, trade dress, and/or other intellectual property rights or licenses and rights of publicity and privacy, all worldwide rights, titles and interests in and to which are owned by or licensed to Virtus Tactical or its suppliers. All software used on this Website is the property of Virtus Tactical or its suppliers and is protected by U.S. and international copyright and other intellectual property laws. “Virtus”, “Virtus Tactical”, and other Website graphics, logos, page headers, button icons, scripts, and service names are trademarks, registered trademarks, or trade dress of Virtus Tactical in the U.S. and/or other countries. Virtus Tactical's trademarks and trade dress may not be used in connection with any product or service that is not Virtus Tactical's, in any manner that is likely to cause confusion among customers, or in any manner that disparages or discredits Virtus Tactical. All other trademarks not owned by Virtus Tactical that appear on the Website are the property of their respective owners, who may or may not be affiliated with, connected to, or sponsored by Virtus Tactical. References on the Website to the trademarks, service marks, trade names, products, company names or services of third parties are provided for your convenience and do not in any way constitute or imply an endorsement or recommendation of that third party or its products or services by Virtus Tactical. Virtus Tactical grants you a limited license to access and make personal use of the Website and not to download (other than page caching) or modify it, or any portion of it, except with express written consent of Virtus Tactical. The Content of the Website, the Website as a whole and the software are intended solely for personal, non-commercial use by you and other commercial users of the Website who have a user ID and password. You may not: (a) modify or create any derivative work based on the Content or use the Content, in whole or in part, for any commercial purpose or for any public display, performance, sale, rental, outsourcing or other commercial exploitation; (b) remove or alter any copyright, trademark or other proprietary notices from the Content; (c) transfer the Content to another person; or (d) reproduce the Content, the Website or the software, in whole or in part, as expressly provided herein. You agree to prevent any unauthorized copying of the Content or software. Virtus Tactical reserves all rights not expressly granted herein. METATAGS, HIDDEN TEXT, LINKING OR FRAMING ONLINE. Virtus Tactical expressly prohibits any use of its trademarks, trade names or brand names in metatags, keywords and/or hidden text online. The use of Virtus Tactical trademarks, trade names or brand names in metatags, keywords or hidden text constitutes trademark infringement, and the use of any of the foregoing for purposes of gaining higher rankings in search engines constitutes unfair competition. Linking to the Website, or any page or portion thereof, without the prior written consent of Virtus Tactical is expressly prohibited. Likewise, framing, in-line linking or other methods of association of the Website or its content with any other site, advertisement, link or other information or materials not originating from this Website is expressly prohibited, unless specifically authorized or required in writing by Virtus Tactical. Virtus Tactical may provide, or third parties may provide, links to other World Wide Web sites or resources. Because Virtus Tactical has no control over such sites and resources, you acknowledge and agree that Virtus Tactical is not responsible for the availability of such external sites or resources, and does not endorse and is not responsible or liable for any content, advertising, products or other materials on or available from such sites or resources. You further acknowledge and agree that Virtus Tactical shall not be responsible or liable, directly or indirectly, for any damage or loss caused or alleged to be caused by or in connection with the use of, or reliance upon, any such content, goods or services available on or through any such site or resource. We do not control the privacy policies or practices of these Websites. You should review those policies before providing any personal information. Virtus Tactical is not responsible for the content or practices of any linked Websites and provides these links solely for navigation convenience to visitors. Virtus Tactical does not claim any ownership rights in the text, files, images, photos, video, sounds, musical works, works of authorship, applications, or any other materials (collectively, “Content”) that you post on or through the Virtus Tactical Website. After posting your Content to the Virtus Tactical Website, you continue to retain any such rights that you may have in your Content, subject to the limited license herein. By displaying or publishing (“posting”) any Content on or through the Virtus Tactical website, you hereby grant to Virtus Tactical a limited license to sue, modify, delete from, add to, publicly perform, publicly display, reproduce, and distribute such Content solely on or through the Virtus Tactical Website, including without limitation distributing part or all of the Virtus Tactical Website in any media formats and through any media channels, except Content marked “private” will not be distributed outside the Virtus Tactical Website. This limited license does not grant Virtus Tactical the right to sell or otherwise distribute your Content outside of the Virtus Tactical Website. After you remove your Content from the Virtus Tactical Website we will cease distribution as soon as practicable, and at such time when distribution ceases, the license will terminate. If after we have distributed your Content outside the Virtus Tactical Website you change the Content’s privacy setting to “private,” we will cease distribution of such “private” Content outside the Virtus Tactical Website as soon as practicable after you make the change. If at any time you wish to remove your submitted Content from this site, please email: admin@virtustac.com The license you grant to Virtus Tactical is non-exclusive (meaning you are free to license your Content to anyone else in addition to Virtus Tactical), fully-paid and royalty-free (meaning that Virtus Tactical is not required to pay you for the use on the Virtus Tactical Website of the Content that you post), sublicensable (so that Virtus Tactical is able to use its affiliates, subcontractors and other partners such as Internet content delivery networks and wireless carriers to provide the Virtus Tactical Website), and worldwide (because the Internet and the Virtus Tactical Website are global in reach). You represent and warrant that: (1) you own the Content posted by you on or through the Virtus Tactical Website or otherwise have the right to grant the license set forth in this Agreement, and (2) the posting of your Content on or through the Virtus Tactical Website does not violate the privacy rights, publicity rights, copyrights, contract rights or any other rights of any person or entity. You agree to pay for all royalties, fees, and any other monies owing any person or entity by reason of any Content posted by you on or through the Virtus Tactical Website. The Virtus Tactical Website contains Content of Virtus ("Virtus Content"). Virtus Content is protected by copyright, trademark, patent, trade secret and other laws, and Virtus owns and retains all rights in the Virtus Content and the Virtus Tactical Website. Virtus Tactical hereby grants you a limited, revocable, non-sublicensable license to reproduce and display the Virtus Content (excluding any software code) solely for your personal use in connection with viewing the Virtus Tactical Website and using the Virtus Tactical Website. The Virtus Tactical Website contains Content of Users and other Virtus Tactical licensors. Except as provided within this Agreement, you may not copy, modify, translate, publish, broadcast, transmit, distribute, perform, display, or sell any Content appearing on or through the Virtus Tactical Website. Virtus Tactical performs technical functions necessary to offer the Virtus Tactical Website, including but not limited to transcoding and/or reformatting Content to allow its use throughout the Virtus Tactical Website. Virtus Tactical may reject, refuse to post or delete any Content for any or no reason, including Content that in the sole judgment of Virtus Tactical violates this Agreement or which may be offensive, illegal or violate the rights of any person or entity, or harm or threaten the safety of any person or entity. Virtus Tactical assumes no responsibility for monitoring the Virtus Tactical Website for inappropriate Content or conduct. 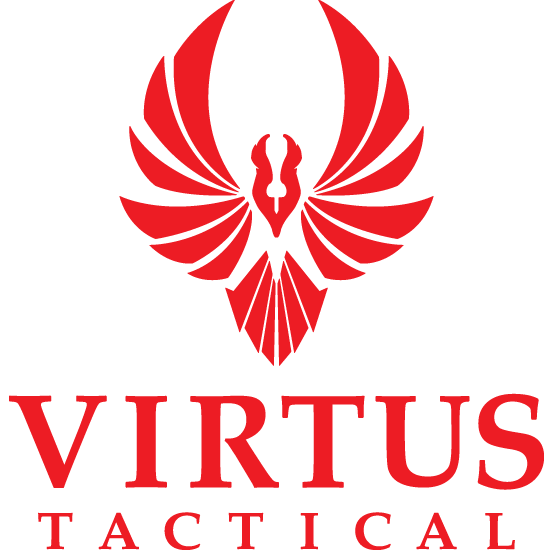 If at any time Virtus Tactical chooses, in its sole discretion, to monitor the Virtus Tactical Website, Virtus Tactical nonetheless assumes no responsibility for the Content, no obligation to modify or remove any inappropriate Content, and no responsibility for the conduct of the User submitting any such Content. You are solely responsible for the Content that you post on or through any of the Virtus Tactical Website, and any material or information that you transmit to other Members and for your interactions with other Users. Except for those warranties expressly provided herein, you hereby acknowledge and agree that Virtus Tactical (including officers, employees, agents, directors and independent contractors of Virtus Tactical) has not made any other warranties, express or implied, concerning the Website or the Products. THE WEBSITE AND ALL INFORMATION, CONTENT, MATERIALS, PRODUCTS (INCLUDING SOFTWARE) AND SERVICES INCLUDED ON OR OTHERWISE MADE AVAILABLE TO YOU THROUGH THIS SITE ARE PROVIDED BY VIRTUS TACTICAL ON AN "AS IS" AND "AS AVAILABLE" BASIS, UNLESS OTHERWISE SPECIFIED IN WRITING. VIRTUS TACTICAL DISCLAIMS, AND YOU HEREBY WAIVE, ALL WARRANTIES EXPRESSED OR IMPLIED, INCLUDING, WITHOUT LIMITATION, ALL IMPLIED WARRANTIES OF MERCHANTABILITY AND FITNESS FOR A PARTICULAR PURPOSE. DISCLAIMER OF LIABILITY. IN NO EVENT SHALL VIRTUS TACTICAL OR ANY OF ITS OFFICERS, DIRECTORS, SHAREHOLDERS, EMPLOYEES, DISTRIBUTORS, AFFILIATES, SUBSIDIARIES, AGENTS OR REPRESENTATIVES, BE IN ANY WAY LIABLE TO YOU OR ANY PARTY FOR ANY DIRECT, INDIRECT, GENERAL, COMPENSATORY, INCIDENTAL, SPECIAL, PUNITIVE, CONSEQUENTIAL OR EXEMPLARY DAMAGES, OR ANY OTHER DAMAGES WHATSOEVER, ARISING FROM, OR RELATING TO, THE USE OF OR INABILITY TO USE THE WEBSITE OR THE CONTENT, MATERIALS AND FUNCTIONS THEREOF, OR OF ANY LINKED WEBSITE, OR ANY PRODUCT OR SERVICE LINKED TO FROM OR ADVERTISED OR PROMOTED ON THE WEBSITE, OR OTHERWISE RELATING HERETO, REGARDLESS OF WHETHER THE SAME ARE FORESEEABLE OR IF VIRTUS TACTICAL WAS ADVISED OF THE POSSIBILITY OF SUCH DAMAGES. YOU ACKNOWLEDGE, BY YOUR USE OF THE WEBSITE, THAT YOUR USE IS AT YOUR SOLE RISK, THAT YOU ASSUME FULL RESPONSIBILITY FOR ALL COSTS ASSOCIATED WITH ALL NECESSARY SERVICING, REPAIRS OR REPLACEMENT OF ANY EQUIPMENT, HARDWARE, SOFTWARE OR DATA YOU USE IN CONNECTION WITH YOUR USE OF THE WEBSITE AND THAT VIRTUS TACTICAL SHALL NOT BE LIABLE FOR ANY DAMAGES OF ANY KIND RELATED TO YOUR USE OF, OR INABILITY TO USE, THE WEBSITE. VIRTUS TACTICAL MAKES NO REPRESENTATION OR WARRANTY THAT THE WEBSITE, CONTENT, SOFTWARE OR ANY PRODUCT OFFERED OR PURCHASED THROUGH THE WEBSITE IS APPLICABLE OR APPROPRIATE FOR USE OR ACCESS IN LOCATIONS OUTSIDE OF THE UNITED STATES. Notwithstanding anything to the contrary contained herein, Virtus Tactical's liability to you for any cause whatsoever, and regardless of the form of the action, will at all times be limited to the amount paid, if any, by you to Virtus Tactical for the PRODUCTS. Virtus Tactical shall not be liable for failing to perform its obligations hereunder because of circumstances reasonably beyond the control of Virtus Tactical. Such circumstances shall include (without limitation) any acts or omissions of any government or governmental authority, natural disaster, act of a public enemy, acts of terrorism, riot, sabotage, labor disputes, power failure, delays in transportation or deliveries of supplies or materials, acts of God, computer failure, hardware failure, telecommunications failure, software failure, failure of users to cooperate with the reasonable requests of Virtus Tactical, breach of this Agreement by users, and any other events reasonably beyond the control of Virtus Tactical. CONSENT TO JURISDICTION, FORUM SELECTION AND CHOICE OF LAW. By using the Website you expressly agree that if there is any dispute arising out of the Website and/or the Products, or in the event of any judicial action arising directly, indirectly, or otherwise in connection with, out of, related to or from this Agreement or any transaction covered hereby or otherwise arising in connection with the relationship between the parties, regardless of whether such action is brought under contract, tort, statute or otherwise, any such dispute shall be governed by the laws of the State of Texas, without regard to its conflict of law provisions, and you expressly agree and consent to the exclusive jurisdiction and venue of the state and federal courts of the State of Texas, in Denton County, for the resolution of any such dispute. The aforementioned choice of venue is intended by the parties to be mandatory and not permissive in nature, thereby precluding the possibility of litigation between the parties with respect to or arising out of this Agreement in any jurisdiction other than that specified in this paragraph. You hereby waive any right you may have to assert the doctrine of forum non conveniens or similar doctrine or to object to venue with respect to any proceeding brought in accordance with this paragraph, and stipulate that the State and Federal courts located in the County of Denton, State of Texas shall have in personam jurisdiction and venue over you for the purpose of litigating any dispute, controversy, or proceeding arising out of or related to this Agreement. Any final judgment rendered against a party in any action or proceeding shall be conclusive as to the subject of such final judgment and may be enforced in other jurisdictions in any manner provided by law. The headings and captions of this Agreement are inserted for convenience of reference and do not define, limit or describe the scope or intent of this Agreement or any particular section, paragraph, or provision. Please contact us with any questions regarding this Agreement. I HAVE READ THIS AGREEMENT AND UNDERSTAND AND AGREE TO ALL OF THE PROVISIONS CONTAINED ABOVE. ©2015 Virtus Tactical All rights reserved.